Standing desks, desk cycles, (and yes, even treadmill desks) are fast-becoming the new normal in offices everywhere. How should the interior designer respond? 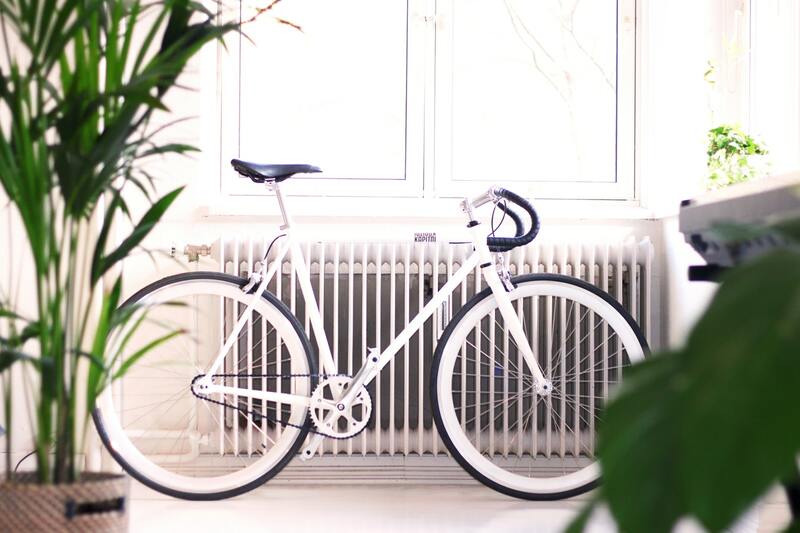 We give you the lowdown on the best ways to arrange your new active office. Companies like Google and Amazon choose iMovR for our commitment to making the best active office furniture products in the industry. Our customers choose us for innovation, impeccable customer service, and infinite flexibility to accommodate all your office furniture needs—which is why we’re the brand of choice for interior designers and decorators everywhere. At iMovR, we believe in creating high-quality products that last. Our standing desks come equipped with sturdy, heavy-lifting American-made bases and feature 3D-laminated tabletops that beat the competition in durability and looks as well as the number of customization options. If you’re a designer looking for office fitness products to fill out a stylish office interior, our selection is the best for the job. We offer practically limitless tabletop color and pattern options, a wide range of sizes and shapes, and special features (like our ergonomic SteadyType™ keyboard trays) you won’t find in any other brands. Last but definitely not least, we try to deliver the best customer service possible. We start by meticulously walking our customers through the purchasing process, organizing fast and convenient shipping, and then being there to support post-sale for a smooth implementation. You can contact our Wellness Solutions Specialists on live chat on Monday-Thursday 6AM - 6PM PT (Fridays 6AM-5PM PT) or via customercare@iMovR.com. Designing our desks, we draw from many years of experience testing and building standing desks and treadmill desks, so we are especially aware of potential user experience issues. Our talented team of engineers, designers, and testers ensure our products are optimized for specific work purposes, different anthropometries, and varied equipment needs. And we also believe that no great design can be possible without innovation. Our Dell-style (made to order) manufacturing process allows us to build our desks to order within five to seven business days. We also design our packaging specifically for every product to ensure safe delivery and complete customer satisfaction. When it comes to delivery, we offer a few options. You can choose a room where you want your new desk to be delivered, additionally you may request that it is factory pre-assembled and tested for you. Finally, you can have it delivered and unpacked, with the pallet, box, and debris removed. Alternatively, you can pick up your desk at our facility in Grand Rapids, Michigan. Our 3D-laminated tabletops are the best in the market in terms of style and durability. If you’re looking for a durable yet elegant finish that won’t delaminate, stain, or chip at the edges (and can withstand harsh chemicals and cleaning agents), 3D-lamination is the way to go. What makes our 3D lamination different from high pressure lamination? The film materials used in the 3D lamination process are scratch and ding-resistant. Industry-standard NEMA testing determined 3D laminate to be more than twice as scratch-resistant and three times as wear-resistant as high pressure laminate. And unlike other finishes, Lysol, Clorox, and 5:1 bleach formulas won’t damage it. Because a single film of laminate is wrapped around the top and sides of the wood, the 3D-laminated desktop features smooth edges and sealed grommet holes, which eliminates the need for traditional PVC strips and plastic covers. The result is a clean aesthetic and unprecedented durability. Our ergo-contoured desktops come in standard and corner shapes. If you’re looking for non-rectangular tabletops, our corner desks will delight you with their attractive design and potential for arranging in collaborative, open workspaces. Unlike traditional corner desks, iMovR corner tabletops with chamfered edges allow for monitor arm installation. If you believe that a conference table doesn’t have to be rectangular, our Synapse sit-stand meeting tables are offered in three additional shapes including Boat, Convex, and Racetrack that will fit with your space and style. The Conference Table is equipped with four AC plugs and four USB adapters, which are perfect for short and long meetings. The Multi-Purpose version of this table can be used as a dining table, adjusting to both adults and kids. Our tabletops come in a wide array of sizes from 24" x 42" to 30" x 83". Corner desk configurations range from 42" to 65" while conference table sizes are available in 30" x 72" and 42" x 96". Top thicknesses of 3/4" (0.75”) or 1-1/8" (1.125”) are available on certain desks (additional costs may apply depending on the top size). Compact size desks are available if you’re looking to save space and reduce real estate costs. With hundreds of colors and patterns among our tops, you can choose from various wood, stone, metal, or solids to fit your interior color scheme. And that’s only the tabletops. Our bases come in two or more colors (depending on the model), adding an additional layer of variation and customization. Woodgrain is a popular option for tabletops, but there are even more custom options available that blend well with a contemporary office aesthetic, which tends to favor concrete, marble, metal, and striking solid colors. We design our standing desks to be functional and ergonomic without overlooking aesthetics—that’s why we built a keyboard tray into our desktops, so customers might reap the ergonomic benefits of an adjustable keyboard tray while avoiding the eye-sore that many add-on keyboard trays become. iMovR’s patented SteadyType keyboard tray isn’t just ergonomic—it comes in the same finish as the desktop, which makes it both aesthetically pleasing and inconspicuous. And if you’re looking for a beautiful ergonomic keyboard tray to add to your regular desk, we offer the Elevon Ergonomic Keyboard Tray in colors that match our desks. iMovR standing desk controllers are just as elegant and inconspicuous. They feature LCD displays where users can see desk height in inches or centimeters with Up and Down buttons and LED-lit paddle controllers. For taller individuals, we found an elegant solution of extending the desks’ height with the help of powder-coated steel leg extenders that bring our desks to remarkable 55”. Easy to install, these leg extenders become an integral part of your desk base, resulting in a clean look that enables proper ergonomics. Our locking caster wheels will make any desk or table mobile. Constructed from durable polyurethane, they will not mark your floors and will add an extra 2.5” of height to the desk height. If you want to create a sleek look and keep your cables from becoming an eyesore, pick up our extensive cable management kit, which includes a 24” long cable tray, resealable cable ties, a power strip, mounting brackets, and super magnet cable guides. In addition to these special features for standing desks, we also developed our state-of-the-art office treadmill (the first of its kind), with a sleek hood, ultra-quiet motors, and small size to fit in compact office spaces. Designed for the office, its motors will outlast any gym treadmill at walking speeds. Add a treadmill to any one of our desks to make a full treadmill desk workstation. Active office culture is important for raising awareness of sitting disease, but if office design does not promote activity, it can be difficult or next to impossible for workers to implement these much needed lifestyle changes. iMovR’s ergonomic active workstations are perfect for promoting physical fitness, daily activity, and a healthy lifestyle. On the other hand, little can be achieved with equipment alone. Without a culture that informs and encourages people to use the tools at their disposal, there may be no significant shift in practice. Work with wellness managers to create a culture around an active office and seek implementation solutions through design. For example, an app-powered iMovR Lander Desk can send notifications to users when it’s time to stand and sit during the day. Active challenges, friendly competitions, group stretches, and other organized activities may require space to be performed. It could be a yoga room, an active break room, or a game area with ping pong tables. iMovR products have a contemporary aesthetic that fits well with other decorating styles. Whether you’re designing a corporate or home office, you’ll find that our desks and active workstations work great in Scandinavian, Industrial, Futuristic, and other interiors. Contemporary offices are sleek, mostly neutral, and full of daylight and technology. Plastered walls, steel-framed windows, and tile flooring create a space that may seem cold and professional, but, if decorated well, can also look attractive and stylish. iMovR’s sleek and professional-looking steel desk bases fit perfectly with this kind of aesthetic. And our stylish 3D-laminated tabletops come in more than a hundred colors and patterns, so you can turn your desks into bold accents in your office design. While Shark Gray is a popular color that would fit in any contemporary office, Pompeii Marble Espresso or Valencia Granite Tuxedo bring an even bigger wow factor into a contemporary open workspace interior. Contemporary style also allows for striking bold accent colors, so choosing solid color options like Green Apple, Matte Indigo, or Bold Purple is a good idea if you’re looking to create a dynamic color scheme. Minimalism is a perfect habitat for iMovR’s sleek designs. Our desks will not overload or impose on a barely-there minimalist aesthetic. The elegant ergo-contoured tabletops and lean legs make our desks both inconspicuous and attractive, which is an exquisite combination for an office desk. Straight lines and a noticeable lack of detail in minimalism should not deter you from using bright colors to create some dynamic contrast. We suggest picking solid colors or textured, but non-patterned, tabletops. If you’re striving for color coherence, using the same color combinations (such as black base and black top) will work best for a minimalist decorating style. Industrial chic has become a popular office design style in recent years. Former warehouses-turned working spaces have open plan space that allows flexibility and, literally, room for experimentation. Envision a former factory with open piping, concrete flooring, and exposed brick walls offset by plush furniture, sporadic greenery, and occasional bursts of color. Such spaces are interesting to observe and explore, and a joy to be in. Since there is so much contrast in these spaces, sleek contemporary desks won’t look too much out of place, instead adding a rather modern touch. To fit your desk with your converted industrial space, choose metallic finishes such as Corten Metal or light wood like Concrete Groovz. Coordinate the base color with the color of your window frames. Scandinavian design has been a very popular home decor trend of late, but it can definitely find a place in tech-heavy workspaces, inspiring the sense of calmness and professionalism. A white Energize desk (or a white Ziplift+ desk converter) would feel right at home in a Scandinavian style workspace. A combination of whitewashed or ash wood and silver can also add that refined Northern simplicity to your office. Great examples would be Northerner and Smokehouse Oak. If you’re struggling with the idea of creating a pure Scandinavian-style office, keep in mind it combines easily with industrial elements and allows for contemporary accents. iMovR and high-tech go hand-in-hand, both literally and from an aesthetic standpoint. Our desks are just as functional technologically as they look. Fitting well with ultra-sleek high-tech interior designs, our Lander Desk has a built-in app that allows you to control your desk from a distance, set height favorites, and even deliver reminders to your smartphone when it’s time to sit or stand. Our desks will soon be able to connect to the iMovR Cloud Station, which will allow you to control and program your standing desk or treadmill desk remotely, and give you accurate data about your personal progress such as step count and calorie burn. We recommend choosing solid colors and using uniform base-top color combinations for a high-tech style office. White and Silver Gray look like the best fit for high-tech interiors, but if you’re on the lookout for some great color play, we suggest pairing our white Freedom base with a Matte Indigo or Sapphire Blue tops. ¾” Slim Tops are the way to go. When it comes to futurism, you won’t find more suiting desk systems aesthetically and functionally than iMovR corner desks. Their non-traditional angular tabletops look nothing like your average L-shaped desks, which makes them both attractive and functional. Allowing for various configurations, these desks can be arranged for an entire call center without a single cubicle in sight, all while providing enough privacy for each and every worker. Pair iMovR Cascade Corner in Designer White with our ThermoTread GT under desk treadmill for the ultimate futuristic workstation like no other. Decorating a new office with limited space? We build our desks to fit various types of spaces from classic restricted cubicles to counters to open workspaces. Accommodate both the workers’ needs and a modern aesthetic in a small office with the following products and ideas. Corner desks are notoriously bulky and often look outdated. Adjustable height corner desks, however, are sleek in design and construction. iMovR’s corner desks make perfect building blocks for collaborative layouts and space-saving configurations. Featuring a chamfered edge, they can be placed against walls, allowing for monitor arm installation. An arrangement of four Cascade Corner Standing Desks can accommodate under desk treadmills without allowing coworkers some personal space and reducing the real estate imprint. A compact desk is a great solution for a cubicle. A smaller worksurface translates into reduced real estate imprint, which results in better space management and long-term savings. This is a good solution for offices that don’t rely too much on paperwork. A monitor arm, a keyboard tray, and a laptop stand can additionally free up the working surface area, leaving more room for writing, document signing, and storage. iMovR Energize Compact Standing Desk comes with a 24" deep tabletop. Its small size doesn’t take away from its American-made quality, import price, and state-of-the-art robotic manufacturing. While compact standing desks are great for saving space, sit-stand converters are also mobile. You can place them on any surface, not just the old traditional sitting desk. A smaller work surface may be a problem for those working with paper documents, but there’s enough room for a separate monitor, mouse and keyboard. Ziplift+ is our most popular converter model with a working surface of 35.4" and a tilting keyboard tray. With the weight capacity of 35 lbs., this desk converter is the best in its category for modern workspaces that involve hot-desking, shared workspaces, and small offices. Another way to save space in a small office is through smart storage. Since most standing desks feature no drawers or shelves, you can use multipurpose furniture to maximize your storage space. A cubby wall storage that doubles as a divider can help you divide open workspaces all while adding storage space to the office. iMovR 3D laminated mobile file cabinets come in matching colors and can not only store documents but doubles as a seat. Whiteboards and writing surfaces are very popular in modern office design, but you can make the most of them if you use them in a tandem with storage walls. The trend that brought collaborative spaces into the modern office keeps inspiring interior designers, decorators, and office workers all over the globe. Collaborative zones are seen as useful for informal meetings, creative brainstorming sessions, and simply exchange of ideas. And they may look like small private nooks and booths, or on the other hand, sprawling open active areas filled with creative furniture. In a sea of ideas, it’s a matter of your client’s vision for their collaborative office design, but you can rely on these particular trends to bring workers from different departments together. A creative layout is a broad term, but once you see the space, you’ll see the best spots for private and public work zones. It’s a great idea to break up wide open workspaces with some walking distance, if possible, or place nooks and rooms between the endless rows of desks. This will increase sense of privacy, or allow for complete privacy, if it’s needed. iMovR corner desks allow for creative configurations that promote both collaboration and privacy. Walking lanes are great because they encourage people to walk and talk, which may be helpful in promoting walking meetings and healthier lifestyle in general. Mobile furniture brings a lot more flexibility to collaborative spaces. If it folds, rolls, or is lightweight enough to carry from desk to desk, you are giving the users an opportunity to almost seamlessly engage in a collaborative process. The iMovR Mobile File Cabinet is sturdy enough to double as a seat, so a co-worker doesn’t even need to move his or her chair in order to sit at their colleague’s desk. Desks can be mobile too! All you need for creating a highly mobile office is to add locking caster wheels to each iMovR desk. An active buddy workstation is an unusual idea for collaborative spaces, but it’s the one that can solve two problems at once: It simultaneously encourages worker collaboration and the usage of active workstations. People are much more inclined to try an unusual activity if they have a partner in their endeavor. iMovR Cascade Corner Desks are perfect for creating an open collaborative working area, which you can complete with one or two silent ThermoTread GT under desk treadmills. Our Cadence Standing Desk Converter is perfect for shared workstations because it can hover over two traditional desks and allow for easy paperwork as well as computer work collaboration.